Eight aspects of prayer to help you enhance your prayer time. 1. Worship – Worship focuses on magnifying the Lord because of His character…who He is. So choose different parts of His character and worship Him according to some or all of those characteristics. Lord, I worship You because of Your FAITHFULNESS. Even though I feel all alone, I know you are here with me. 2. Confession – his is the time in prayer where you honestly confess where you’ve sinned to the Lord. It is important to deal with ATTITUDES and ACTIONS. Jesus, I know that what I did yesterday was wrong, and my attitude was worse. Please forgive me. 3. Intercession – Intercession is when you pray for OTHERS. 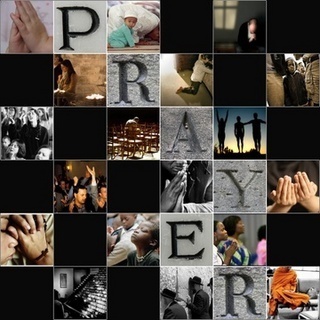 It is important to pray for others, because you may be the only one who does. You can pray for them, their salvation, their needs and growth, etc. One of the most powerful ways to show that you care for someone is to pray for them! 4. Petition – Petition is when you pray for YOURSELF and your OWN NEEDS. There is nothing wrong with praying for yourself. Jesus desires to be our Best Friend who knows the most intimate details of your life. He cares about everything you care about! So remember, you can always talk to Jesus. 5. Praying Scriptures – This is really important and powerful! In prayer, just read back some Scriptures (Bible verses) or recite them to the Lord. Personalize them using I or me. These are God’s truths and promises for our life. When we pray them, we start seeing God’s truths and promises become reality in our lives! Lord, it says in Phil. 4:13 that “I can do ALL things through Him who gives me strength.” So no matter what comes my way, through You, Jesus I can do it. Lord, it says in Psalm 91 that I need to “dwell in the secret place of the most high.” Help me, as I wait in Your presence to understand what that means. 8. Praise – Praise is a great way to conclude your prayer time. When you worship, you magnify God for who He is. When you praise, you are magnifying God for what He does. It is basically saying “thank you” for all that He is doing in you and in the lives of others. Thanks Lord for helping me grow in character. I couldn’t do it without You!